The comparison low deflection shaft vs regular shaft. Well, to begin with, do you know what does low deflection shaft means? I have got in touch with quite a lot of in house players and asked them the same questions. To my surprise, most of them exactly don’t know what is a low deflection shaft. The most common reply was that the shaft deflection is very low as the name implies. That’s plain wrong. Believe it or not, low deflection shaft is not a low deflection but rather a high deflection shaft that imparts low deflection on to the cue ball. Wait LD Shaft is High Deflection Shaft, What is Regular Shaft then? Yes lol. You know it wrong by now. To understand this in a better way, imagine in your mind in slow motion the tip of your cue coming in contact to the cue ball. As soon as it touches the cue ball the shaft continuous from the point of contact and move towards the side of the cue ball that makes the cue ball squirt. 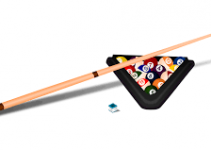 So you planned to strike towards the side of the cue ball but in reality, the time of contact between shaft and cue ball is longer. What you get in the end is that the ball deflected more than what you wanted it to and did not make the contact with the object ball on the place you wanted it to be. The problem is the shafts don’t deflect instantaneously after contacting the cue ball rather they stay on contact with the ball and change its direction of trajectory. The solution is to reduce this contact time. HOW TO REDUCE THE CONTACT TIME? 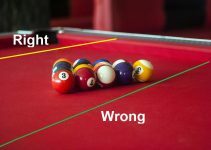 If the end of the cue where the tip is if it is light in weight then it would immediately shoot off after contact with the ball. So a lightweight cue at the end of tip would have somewhat less inertial momentum and immediately sways off after contact with the ball. This is exactly what the manufacturers are doing. The put less weight in the cue’s tip end and achieve this high deflection on the cue tips. This is why regular shafts are much heavier from the cue’s tip end. The same is the reason why old professional players would make the bridge very close to the cue tip end. 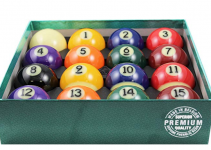 This would give very low momentum to the high weight end and they would get a low deflection on the cue ball. In comparison, the modern pros using LD shaft make the bridge far more behind than the older pros because they don’t have the worry much about the weight of the cue tip. Below are some of the pros and cons of LD and Regular shafts. There can be more but I have listed some to make your concept clearer. The cue ball will deflect less and it is more likely to come in contact with the object ball to the point you want it to be. That means your aiming will automatically improve. In comparison, a regular maple shaft will add more spin onto the ball altering its intended trajectory and you are more likely to hit way off than an LD shaft. As you practice you will have better ball control because the amount of spin on the ball is more under control. In case of the regular shaft because there is more time of contact between ball and tip there is a higher probability that more spin is imparted and hence lesser ball control. The place where you will make the bridge is very likely to be there at the pivot point of the shaft. This will help you add in lesser spin onto the ball. This is very helpful in case of breaks where there is more likely the error happens because of deflection in case of a regular or standard maple shaft. Low deflection Shafts are more likely to last longer than standard shafts because the way they are constructed using special lamination technique. They are less likely to bend over time and you can even switch between different LD shafts much quicker. I have reviewed a bunch of Low deflection cue shafts here, they might help you understand the variety in the market better. Even during a rough patch LD or Fewer Squirt cues will allow you to be more consistent because it ensures the trajectory is almost the same as you are trying to do so. When you are trying to spin the ball with a regular shaft, a distance of at least 1 foot ensures a good amount of spin while for LD shaft distance of 6 inches is enough. This makes sure that you are 50-75% more accurate than a regular shaft. Low deflection shafts though have become cheaper over the years but still, they are priced higher than the regular shafts. For someone using a regular shaft for years, it would be quite difficult to shift onto the low squirt shafts. Because the weight at the cue end is low, sometimes the sound made after hitting the ball can be irritating. You will need a lot of practice to master the jump shots with these LD cues. If you are used to low bridge style of play then it will take sometime before you can adjust to the long pivot point of the LD shaft. If you forgot your LD shaft someday at home then you won’t be able to do Englishes with regular bar cue. Low deflection shaft is actually a high deflection shaft which ensures that that deflection or squirt on the cue ball is going to be less. This is why it is also called low squirting shaft. It ensures more consistency in shot trajectory. If you are planning to shift from regular to low deflection shaft then it is a good decision but you should give a reasonable amount to time so you can get comfortable with it. Almost 70% of the pros today are using LD shafts and after a decade or so this percentage is only meant to increase so it is better if you make the shift from today and step up your game.